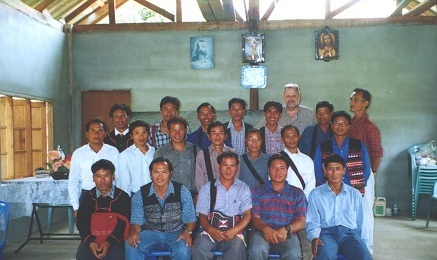 Jon Nelms poses with a group of preachers in the Golden Triangle of Southeast Asia from the Akha, Lahu and Lisu tribes. Some of these are among the first preachers supported by Final Frontiers Foundation, others are second and third generation preachers trained by the leaders, who are now planting churches of their own and training their �Timothys� for the ministry. 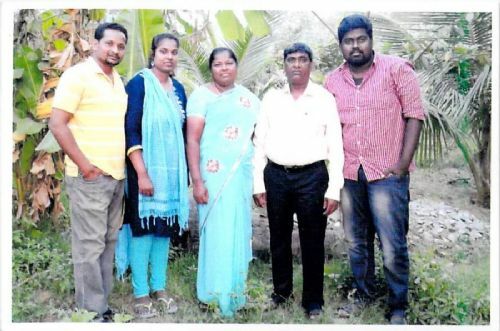 Because of TEAM funding, these preachers are able to purchase Bible lessons, tracts, translate scripture, purchase lanterns for church services, scooters for travel, bus tickets and other items needed to maximize their ministry efforts. Your participation as a member of this or other TEAMs of preachers will assist them in effectively advancing the Gospel where it has never been preached before. 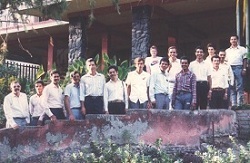 This is a TEAM of preachers in Nicaragua. At the time this photograph was taken, they were still being persecuted under the communist Sandinista regime of Daniel Ortega. This group of fifteen pastors has now grown to more than eighty. 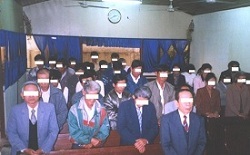 This is part of the TEAM of preachers in Vietnam along with their wives. Their faces have been blocked out to protect their identity. Preaching the Gospel in Vietnam remains a criminal offence. Every one of theses pastors have served time in prison for their faith. 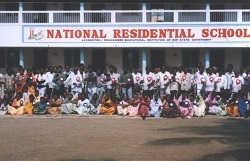 This is one of many TEAMs of preachers in India receiving support. From the original handful of churches, they have started more than 300. Many have been cast out of their families, lost their homes and some have been beaten, stoned, poisoned, mutilated and killed, all for the sake of the Gospel. This is a TEAM of preachers in the Ivory Coast of Africa. 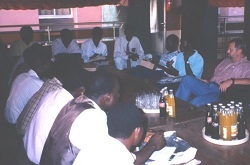 (Jon Nelms sits among them) They are conducting a regular meeting where they report results of their churches and evangelistic outreach, as well as planning and coordinating evangelistic and church planting excursions into the unreached areas of their land. 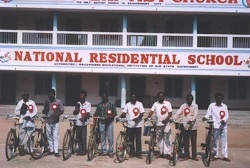 TEAM funds are used to purchase bicycles, scooters, lanterns and other tools that help the national preachers to reach further with the Gospel. With a bicycle, these preachers can increase the range of their ministry. Before, they were limited to walking distances, now that range has increased some 500%. TEAM funds help to provide for the training of young men and women who are called of God to serve in their nations. 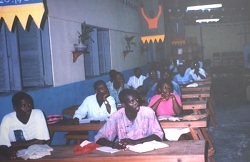 Text books, writing tablets, pencils, as well as transportation for the visiting pastors who oversee the training are purchased with these funds. TEAM funds help to cover the expenses of open-air and city-wide evangelistic campaigns. They are used for the rental of chairs, public address systems, movie projectors, etc. 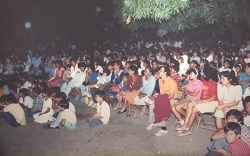 Many churches around the world have been started with the converts of such campaigns. Sponsorship of a TEAM can be done for $10.00 monthly or more.